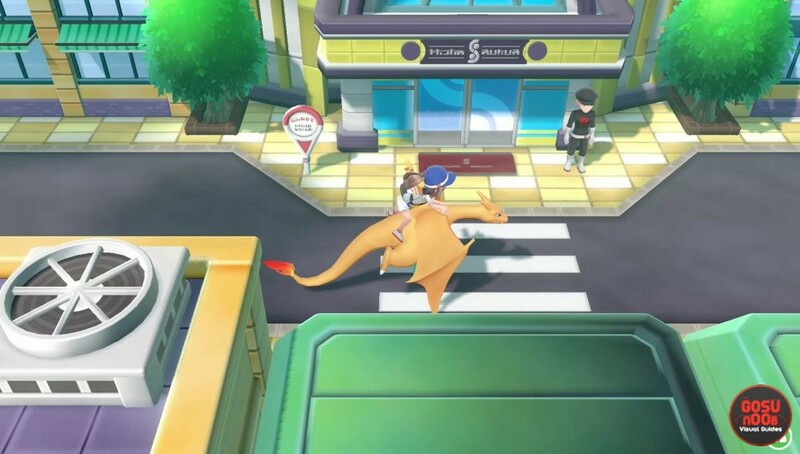 Silph Co building is one of the locations in Pokemon Let’s Go Pikachu & Eevee. It’s a place you’ll have to visit during the main story. There are a dozen floors inside, and it’s easy to lose your way. If you want to know how to quickly get to the top and where to find the key card used to open a bunch of the locked doors, we suggest you keep reading our Pokemon Let’s Go Silph Co building guide. How to get to the top of Silph Co building? Once you enter the building, head to the elevator. Go to the fifth floor, and head left. You’ll have to fight a few enemies, and after you’ve defeated them, you’ll get the key card (the fight will take place in front of the locked room with the scientist). Your next step should be to head to the third floor. Go straight down from the elevator, and use the keycard to open the door on the left. Enter the room and defeat the scientist, and you’ll be able to use the teleporter by the conference table now. Use it, and it’ll teleport you into a small room where you’ll find your rival. After a brief chat, Archer will appear, and your rival will offer to take care of him. Use the other teleport, and you’ll end up on the top floor. All you have to do now is follow the corridor and you’ll run into Jesse and James. Defeat them, and you’ll be allowed to go to the president’s office, where you’ll face off against Team Rocket boss Giovanni. Once you’re done, you can systematically clear the rest of the building if you want, or you can just go to the seventh floor and rescue the guys locked in the cafeteria. Talk to the one on the right, and he’ll give you a free Lapras. So I went into sliph co but I lost and now I cant get back in, help!